MAD Architects made headlines this year with its sinuous Harbin Opera House in China, which was captured in a dramatically snowy set of images by the photographer Iwaan Ban. 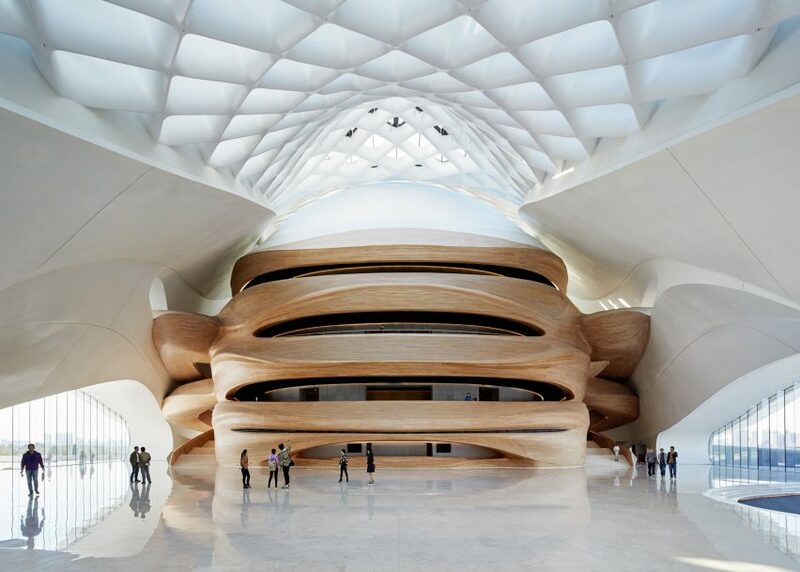 The Beijing-based firm led by architect Ma Yansong also got the go-ahead on its George Lucas Museum in Chicago. MAD is working with Studio Gang on the tent-shaped complex, which will house the art collection of film director George Lucas. Still popular this year is MAD's Absolute Towers project in Mississauga, Canada. The pair of curvaceous, twisting skyscrapers have enjoyed a continuous stream of readers since we published the project in 2012.